The freestanding 7 kg washing machine has a great range of programmes to get all your laundry clean, and is incredibly energy efficient too. The smart white finish, with silver and white door, will also suit a wide range of kitchen styles. All the programmes and modes are easily accessible with touch control buttons, and can be monitored using the large LCD display. Check spin speeds, temperature and cycle duration, or, you could even set up a time delay function. This handy feature lets you delay the start of the cycle by up to 24 hours, so it finishes at your chosen time. Add and item to the wash, even if the programme is half way through, with the excellent Reload function. Simply press the Start/Reload button, wait for the door to unlock and add the item to the wash – no matter the size. The 7 kg capacity makes the WM12N190GB a perfect family appliance, and with a 1200 rpm spin speed, will whiz through your mountains of laundry in no time. 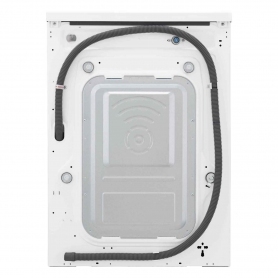 The porthole has a 30 cm diameter and the door opens at 180 degrees, meaning you can get things in and out hassle free. Equipped with an iQdrive, this high-quality brushless motor helps make the WM12N190GB quieter than other models. It also has AntiVibration side panels, which make the appliance more stable, and reduces the noise it generates while running. We all want to have lower utility bills, so investing in an efficient appliance like the WM12N190GB can really help. Having been awarded an A+++ -10% efficiency rating, not only is this cheaper to run than lower rated models, but it also helps to reduce your impact on the environment. 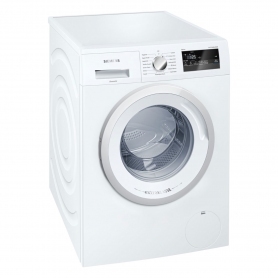 This Siemens extraKlasse washing machine is quiet, highly efficient, and will get your laundry clean in no time. Order your WM12N190GB today.